So have we determined if Mark is Marc? I`ve got a bottle of Deep Gloss (~3/4 full) if you still want to try it? Yep...he`s the same. Sent me messages both places. 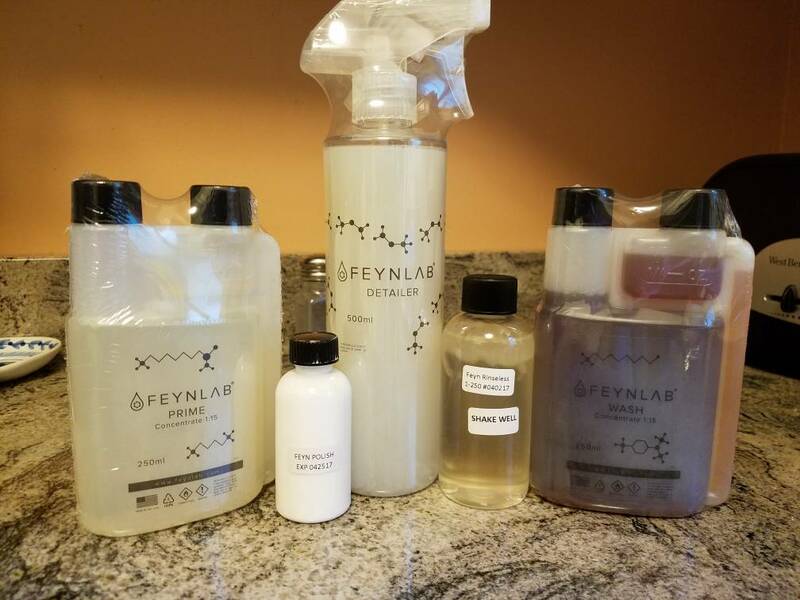 Feynlab anyone? Free to a good home, shipping included to lower 48. And 2 samples. Never opened, purchased in June I think. Budget you serious? Never even used it? I`d be interested in the wash and detailer for sure - feel almost guilty taking it all though. If anyone wants to split it with me for samples or something, I`m totally game. Also, if someone else wants the whole lot, give it to them. You`re already being super generous with shipping and stuff, I`m not going to be a pain by requesting split samples. Feynlab claimed. Will ship tomorrow to atgonzales. Oh, and Brandt Claimed the Fuzion I had - it`s leaving to a good home within the next day or two. Came as a package with the Feynlab Ceramic. Used the Ceramic never got around to using before I moved on from Ceramic. Nothing wrong with the Ceramic, great looks, unbelievably easy application. Looking forward to reports/revirws from its new home. It`s like Christmas in July/August and Budget is playing !